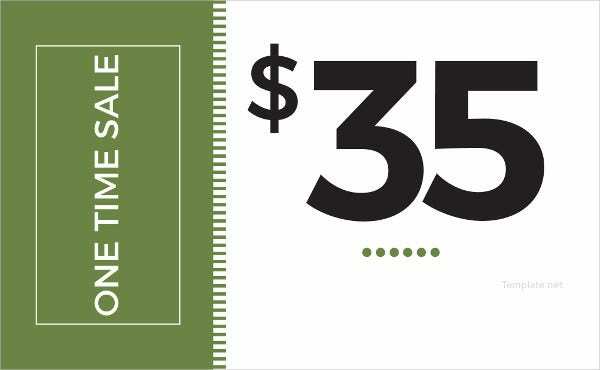 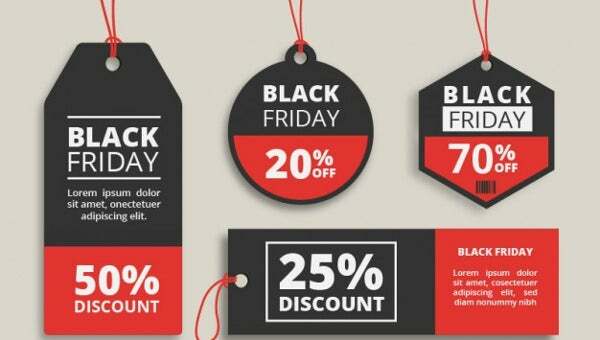 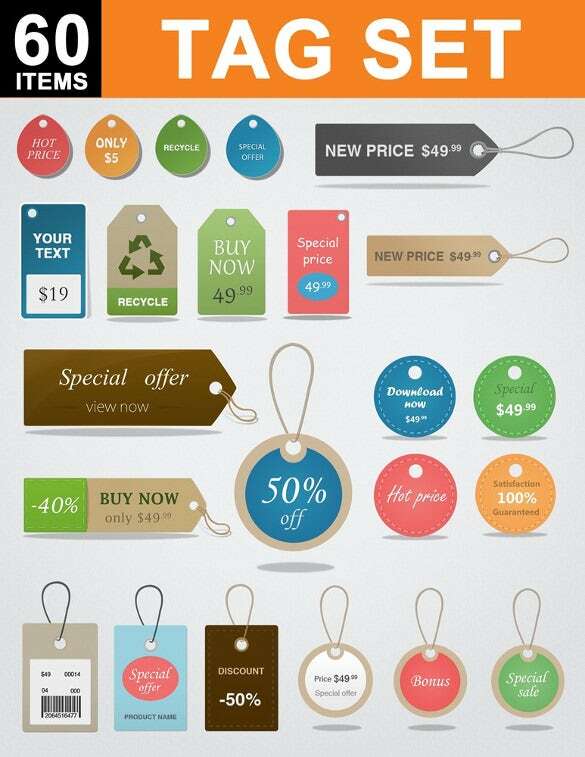 23+ Price Tag Templates – Free Sample, Example Format Download! 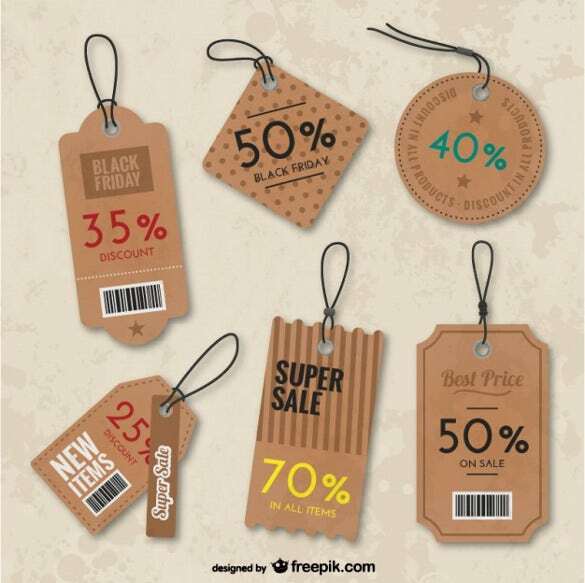 Each and every shop, departmental store, boutique and bazaar requires price tags to tie on their good and products. 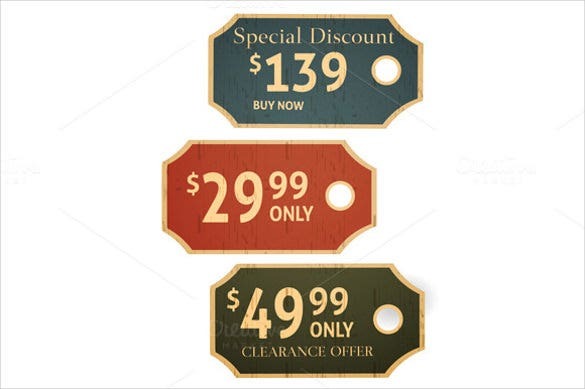 Our range of price tag templates are cleverly designed and can suit the requirements of all types of store and shop owners. 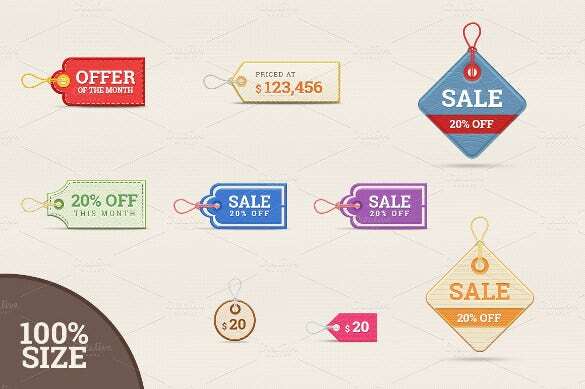 Available in a wide range of shapes and formats, these example templates are easy to download and convenient to use. 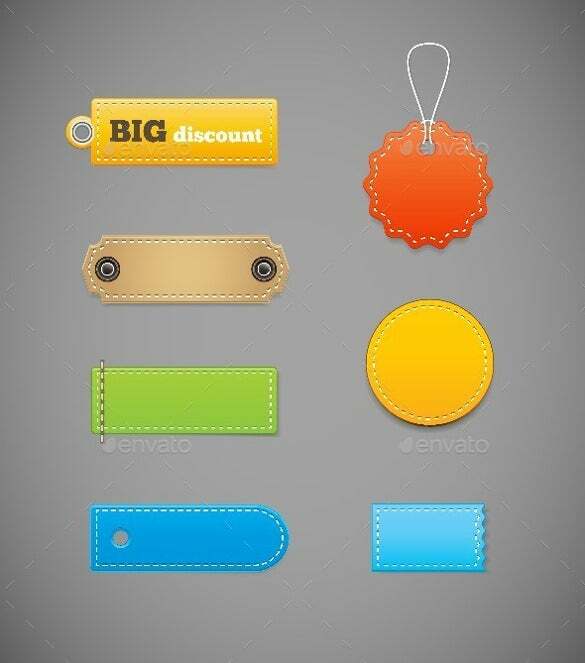 You may also Visit luggage tag templates. 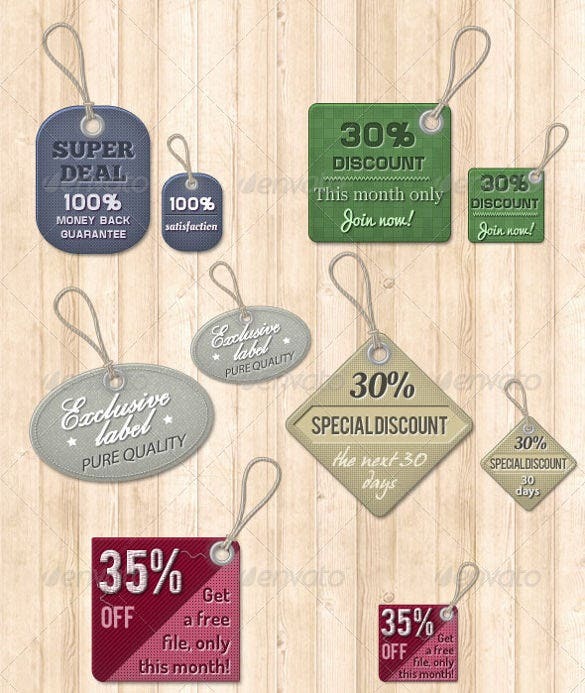 These sample templates can be used to tag products in exhibitions and trade shows too. 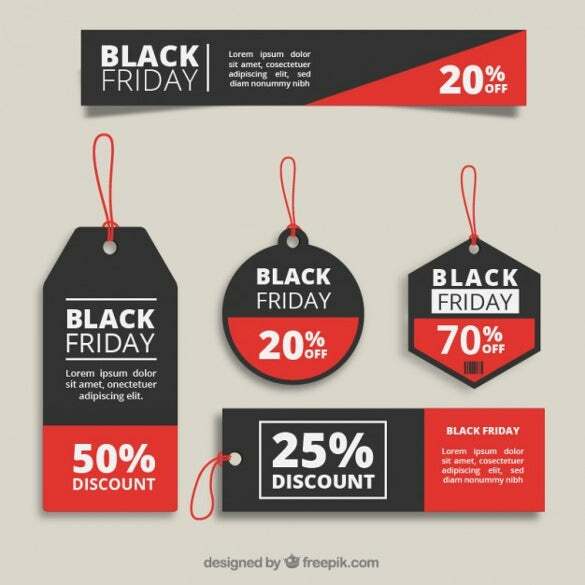 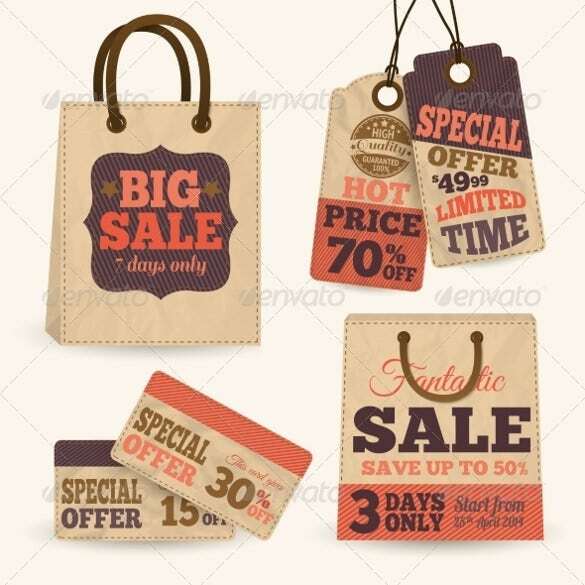 You can add the company name, product details, price of the product, bar code, product code and various other essential details to these price tag templates. 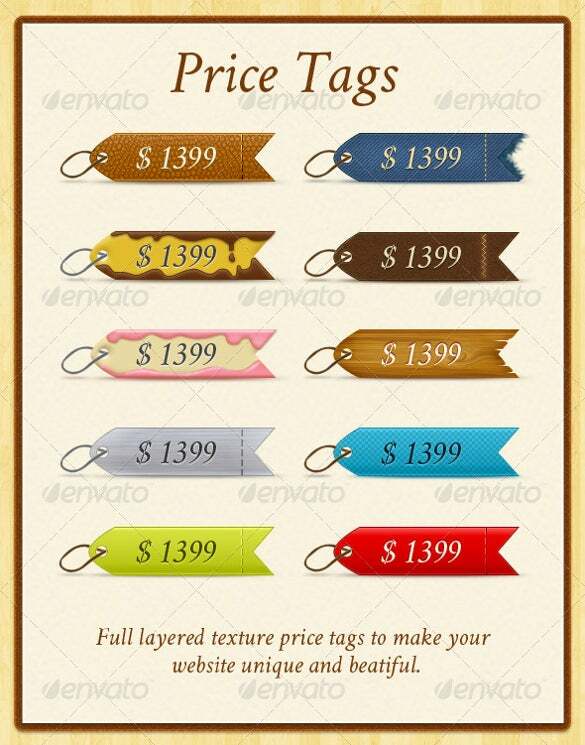 This is a Set Of 10 Price Tags available with different texture and colours. 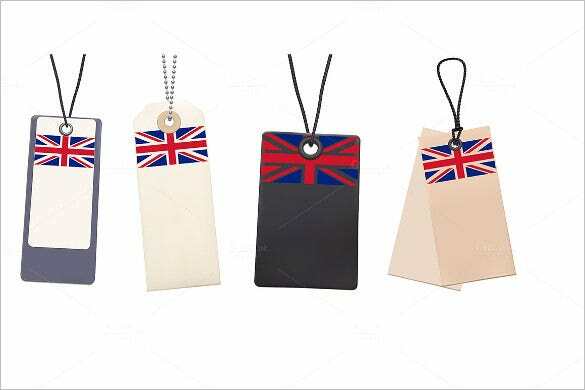 They can be used in any shop or departmental store where you need to put price tags on goods. 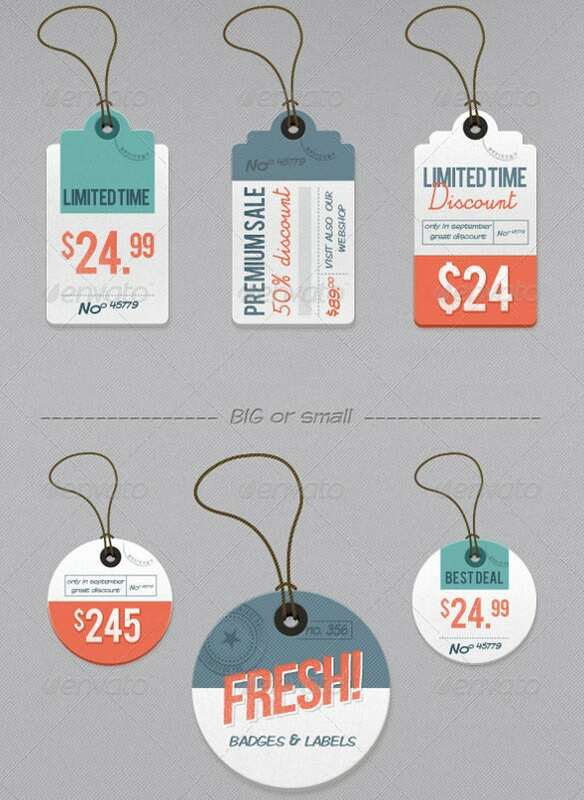 These are Price Tags with Shopping Bag Design. 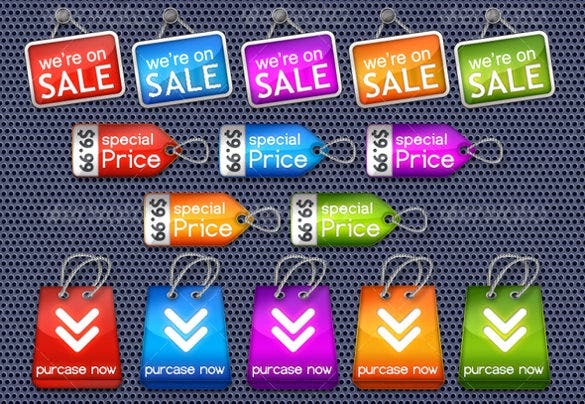 They look very modern and ideal for stores selling bags, luggage or accessories. 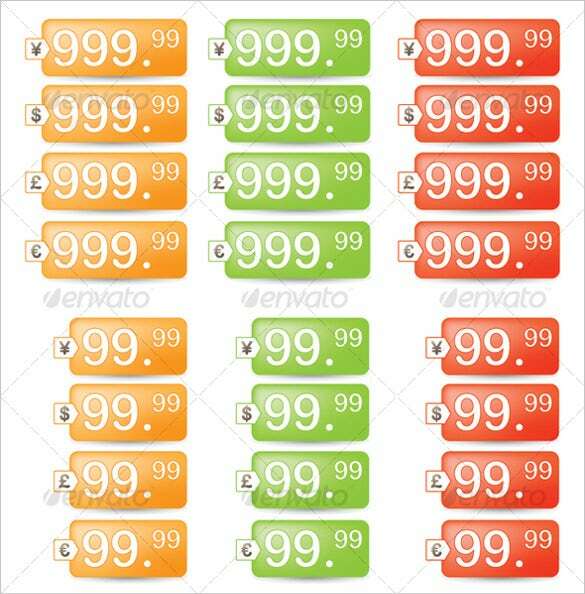 It comes in attractive colour combination. 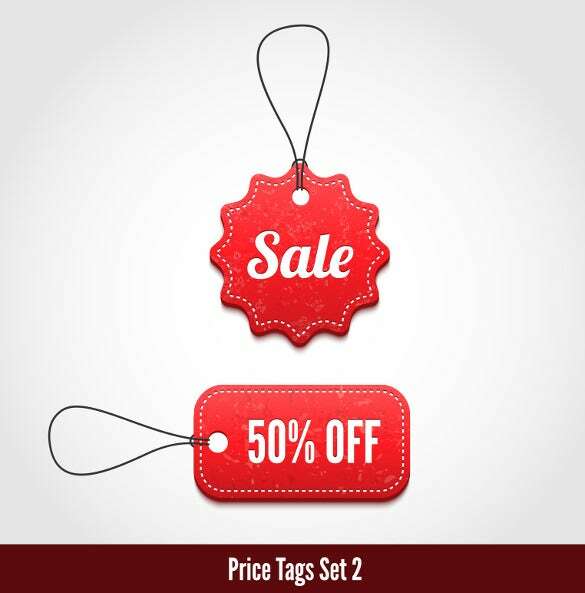 These price tags are ideal for days where there is an ongoing sale in big retail houses. 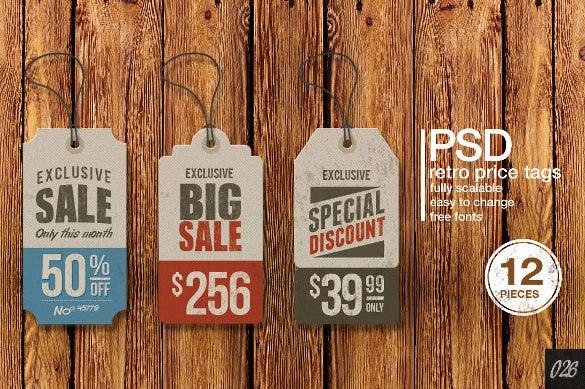 They come in attractive colour combination and customizable font. 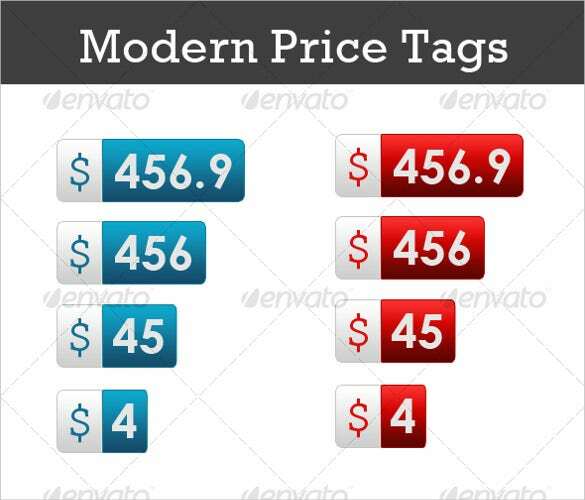 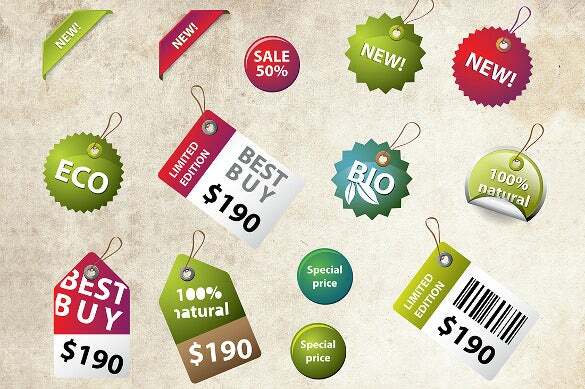 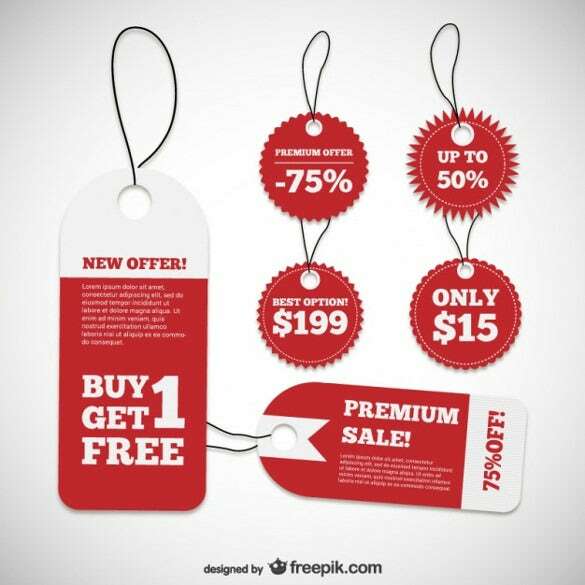 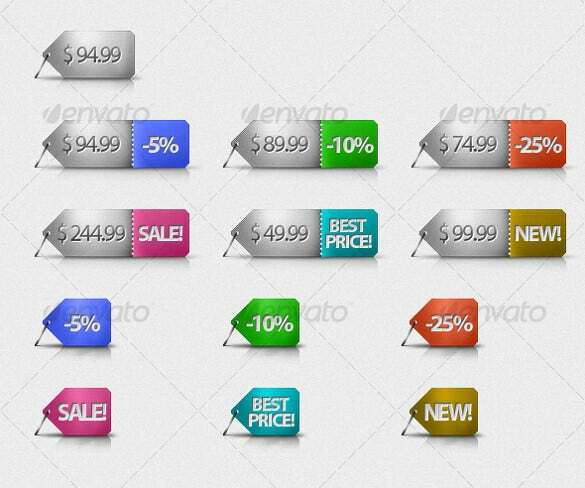 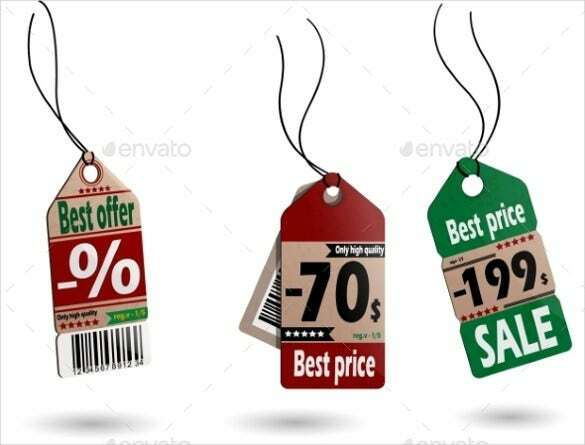 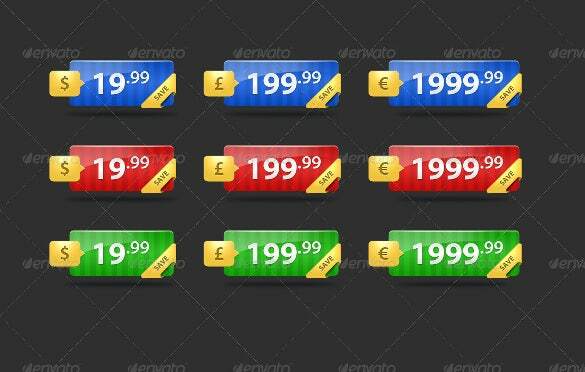 Modern Price Tag with PSD Format are tags that come in bright dual colours of blue and red and in different sizes. 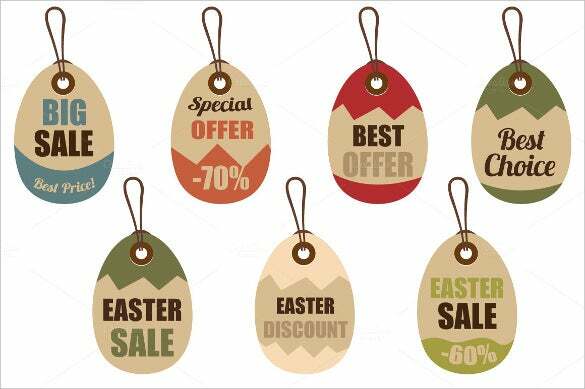 These easy editable easter Price tags are ideal for Easter items that are available in stored. 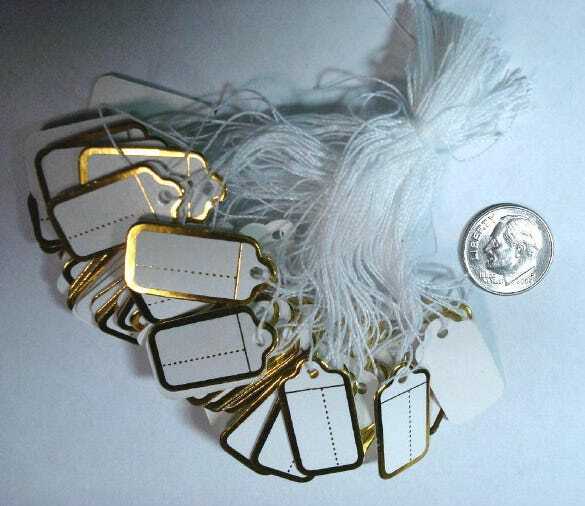 They come in egg-shape and in a nice design.